Safran Nacelles launches a new automated non-destructive testing solution using infrared thermography and augmented reality, a world first. aerobd.news : Stéphane Cueille, Safran Senior Executive VP R&T and Innovationinaugurated the new non-destructive testing process (NDT) for composite panels of aircraft nacelles. The use of infrared thermography combined with augmented reality projection is a world first. This process was devised for the A320neo LEAP-1A and A330neo Trent 7000 nacelle programs for which production is expected to boom over the next three years. The results live up to the expectations: 50% less inspection cycle time and increase of availability of the equipment thanks to the separation of the controls and markingactivities. Working conditions are also improved thanks to enhanced ergonomic softwares (developed by Safran) and easier controls. “This is more than a new industrial method – it is an innovative process. 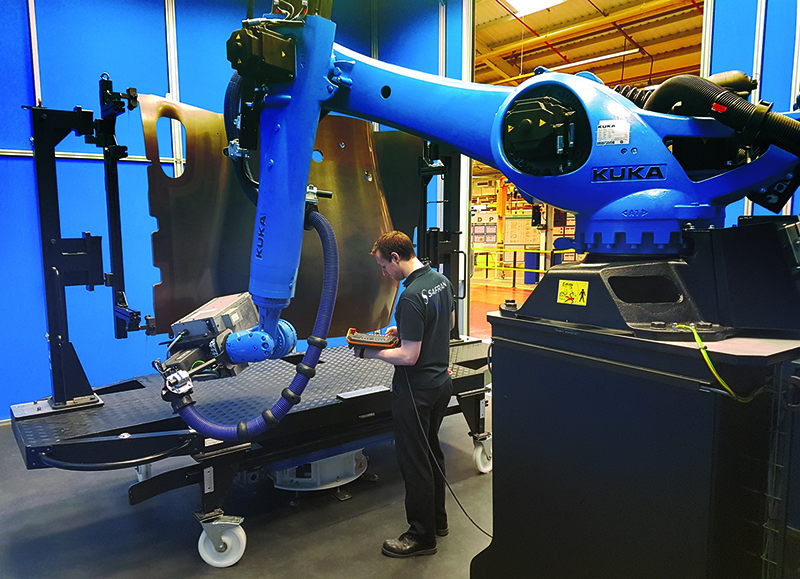 The teams were mobilised in record time to find solutions for providing support to our customers,” explained Victoria Foy, Managing Director of Safran Nacelles in Burnley. “They put the Group’s highest expertise to use, as well as existing technological and digital tools, such as automation and augmented reality. The digital factory is now a reality at Safran Nacelles”. This NDT process is based on a robot named IRIS (Infra Red Inspection System), which uses infrared thermography to read data. After data processing, the information is then analysed by an inspector usingspecial viewing software. Finally, if needed, it is projected on the part via augmented reality. The use of infrared thermography on such large complex composite parts of varying thickness is unique in the world. 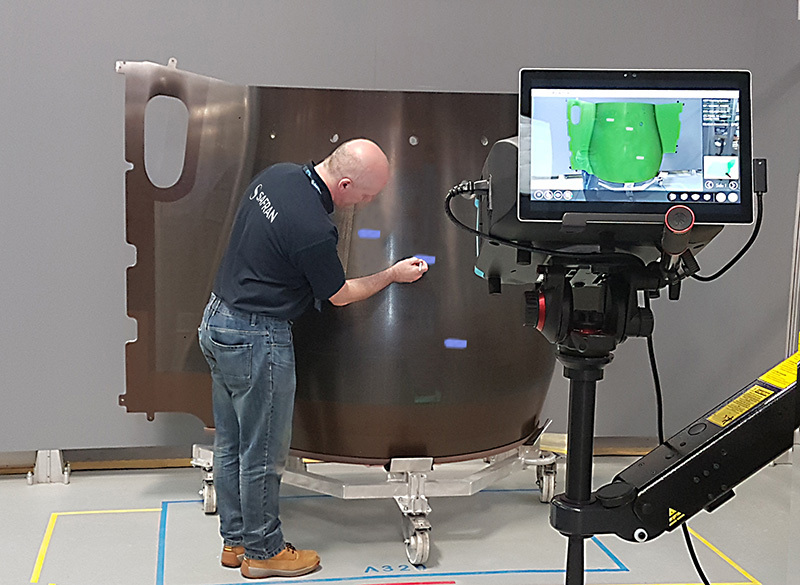 The augmented reality system – instantaneously projecting all the areas to be checked directly on to parts measuring between 3m2to 12m2 – is the first to be deployed by Safran. Safran Nacelles is number two in the world for aircraft nacelles, with over 18,400 devices in service, and over 110,000 flight hours per day.The company is active in all segments of the market, from regional jets and corporate aircraft to the largest airliners.